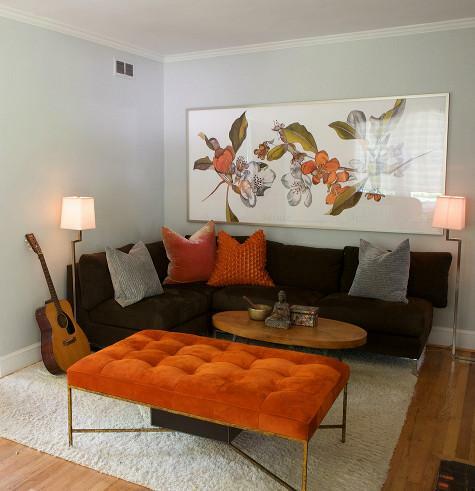 Interior Groupie: Friday faves - orange! Awesome post! I'm LOVING orange right now!!! Love that last photo! What is it about orange lately? Never thought I would consider it for myself but those plans have changed!!! Such a fun color and some pretty fabulous finds!! I am really liking the duo headboards! 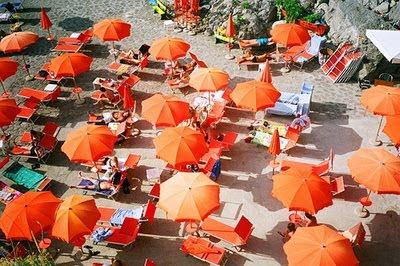 I love the last photo...I have a similar photo from a trip to Italy last year, just a sea of orange umbrellas in front of the ocean. 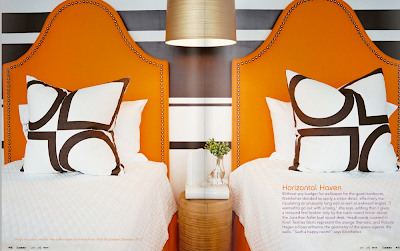 I am loving those orange headboards! 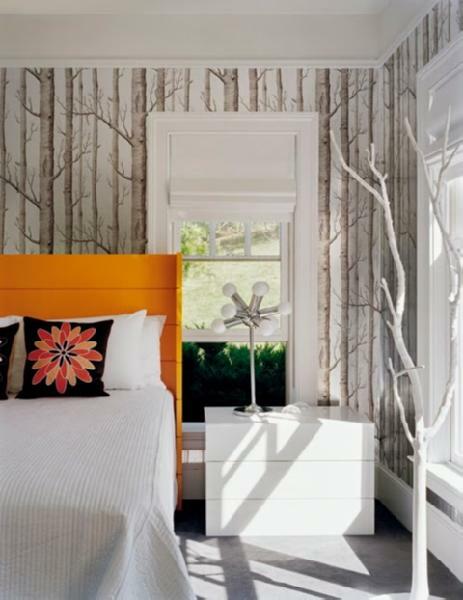 A pop of orange is sooo bright and beautiful! Love that floral orange and white tray! and the headboards! The last photo reminded me of the Jean Claude and Christo art installation in Central Park. My hubby and I drove all the way to NY to see miles and miles and miles of orange fabric strung through central park in February. The contrast was mind blowing.